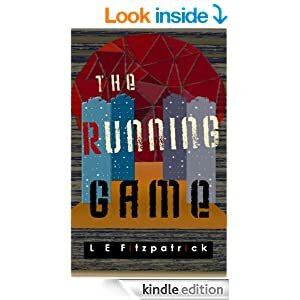 Check out her new book, The Running Game. Five past eleven. Rachel’s shift should have finished three hours ago. She slammed her time-card into the machine. Nothing. She gave it a kick, then another until it released, punching her card and signing her out for the night. The hospital locker room was unusually quiet. There was a nurse signing out for the night, two doctors signing in. Nobody spoke to each other – it wasn’t that kind of place. Grabbing her threadbare coat from her locker, she drew it over her scrubs – the only barrier between her and the unforgiving October night. She walked through the ER waiting room, eyes fixed on the exit. You had to ignore the desperation. Three hours over a twelve hour shift, you had no choice but to pretend like you didn’t care. Push past the mothers offering up their sick children like you could just lay your hands on them and everything would be better. Push past the factory workers bleeding out on the floor. Push that door open and get out. Get home. You had to. In six hours the whole thing would start again…. For more go to her blog.